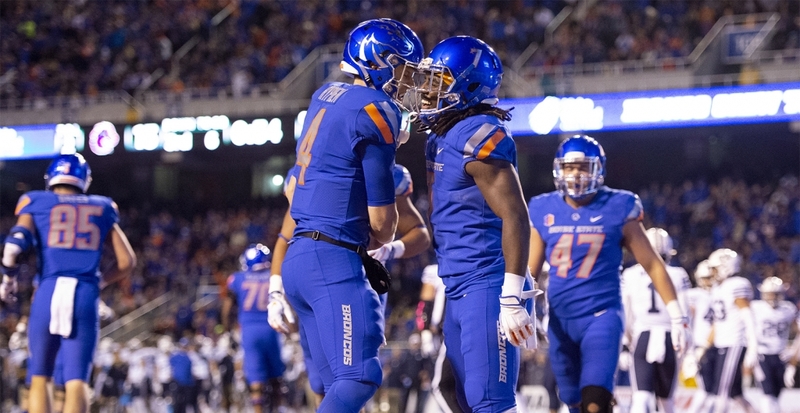 Boise State University celebrated this fall’s biggest event with thousands of students, parents, alumni and fans — and a thrilling victory that went down to the last second. This year’s honorees for the annual Distinguished Alumni Awards were all six members of the Boise City Council — each one a graduate of Boise State University. 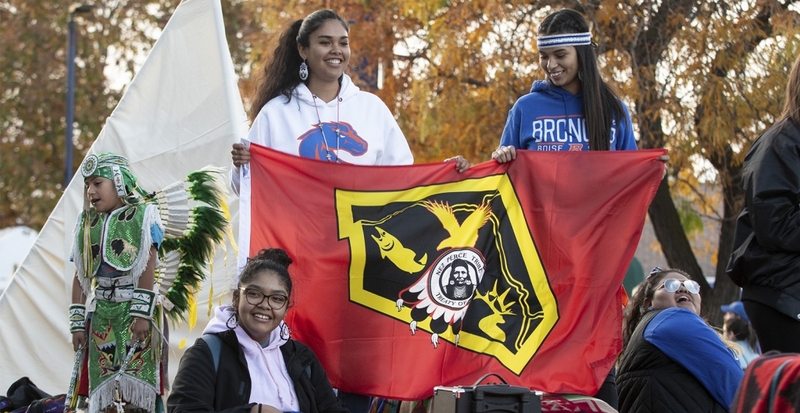 The special group was feted at a gala event on Friday, featured in the Homecoming Parade Saturday afternoon, and cheered on The Blue at halftime of the game. Congratulations to Elaine Clegg, ’97, BA in art; Scot Ludwig, ’82, BBA in performance management; Lauren McLean, ’02, MPA in environmental policy; Lisa Sanchez, ’07, BA in communications; TJ Thomson, ’00, B.S. in political science; and Holli Woodings, ’07, B.A. in English. 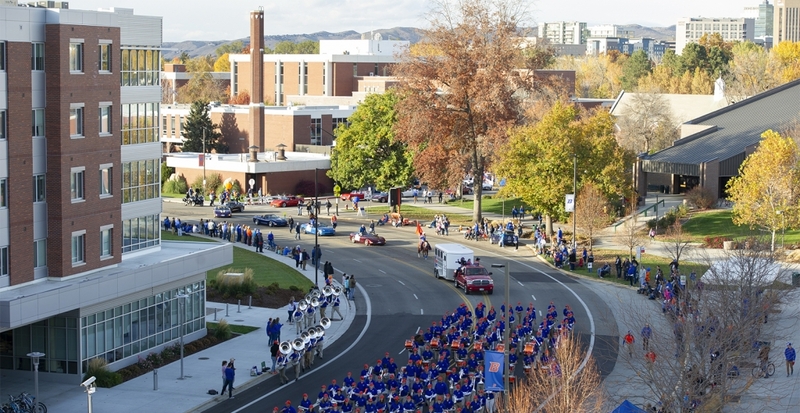 Dr. Bob Kustra, who stepped down this summer after 15 dynamic years as the president of Boise State University, and his wife, Kathy, were honored as the grand marshals of the 2018 Homecoming Parade. See the photo gallery of Homecoming events, leading up to the 21-16 victory over BYU.